Why do we care about a continuum of screen sizes? As more diverse devices make their way into people's hands, the need to consider a complete range of screen sizes and capabilities in Web design increases. When there is a seamless transition from 2 inch screens to thirty inch screens, where do you draw the lines for phones, tablets, laptops, and desktops? 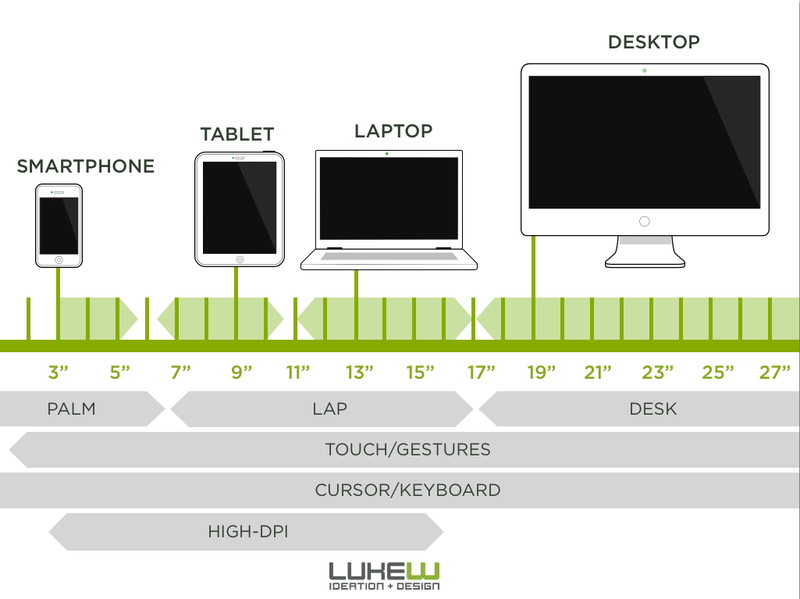 A complete continuum of screen sizes is actually a blessing for Web designers and developers. It forces us toward adaptive solutions that respond to diverse capabilities instead of being able to draw arbitrary cut-off points for separate mobile, tablet, and desktop sites. So I for one, welcome our six inch fonblet/phablet friends and look forward to further diversity in screens that allow us to access the Web.